Several years ago, my wonderful sister-in-law introduced us to the hidden world of letterboxing. Letterboxes are little secret boxes tucked away all over the world, found only with clues. Over the years, we have found dozens of letterboxes. It has been such a fun activity for our entire family and has become a tradition on every trip we take. 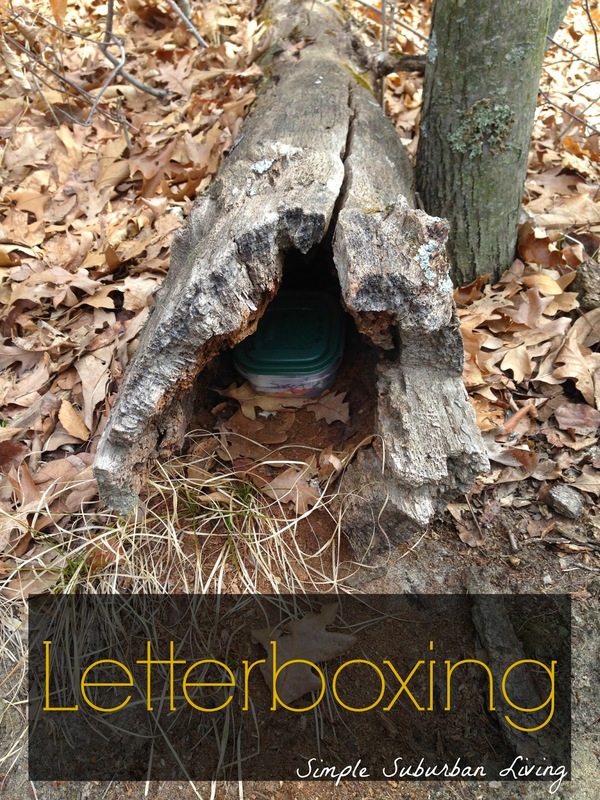 Letterboxing is great for all ages, it gets you outdoors, and it's FREE. So exactly what is letterboxing? Think of it like a treasure hunt with the treasure being the letterbox. The boxes are hidden by people, who then log their boxes and clues by location on various letterboxing websites such as letterboxing.org and Atlas Quest. Then people like us search the websites to find letterboxes in their area. Print out the clues and the hunt begins! 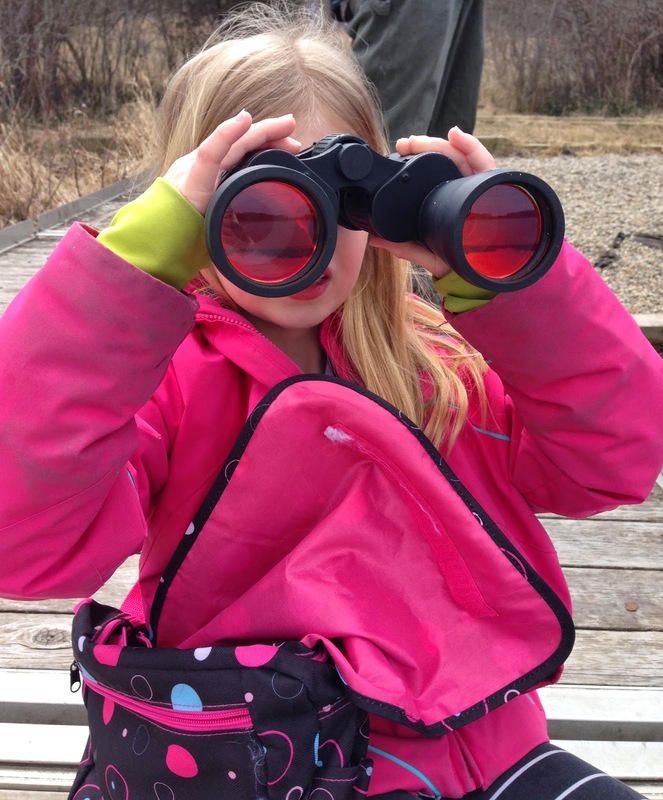 Boxes are usually hidden in state and metro parks, so hiking is usually required. But we have found them right in the middle of town before, too. When you finally do find the letterbox, here's what you can expect. Almost always, they are slightly hidden in stumps or under leaves, so you really have to look. Boxes also need to withstand the elements, so they are also almost always in a plastic food container of some sort. Inside usually contains a log book and a stamp. The log book is like a guest book so the people who planted them can see who has found them. We always write the date, our names and where we are from. The stamp is for you to use in your own log book, if you have one. That part is optional, but it is fun to keep a log book of all the letterboxes you've found. And don't forget to hide the box when you're done. The pictures are from our hike last week where we found the letterbox we planted last fall. Even though we have yet to log the clues online, our little book was filled up with people signing in to say they found it. Someone was even generous enough to add a lighter to our little box! Letterboxing has been such a rewarding experience for our family and something I hope our girls do with their own families someday. P.S. There is also something called geocaching that is very similar and requires a GPS. I have family members that geocache and love it, but we have never tried it. I'm sure it's just as fun though. Wow!! This is so cool! Thank you for sharing your family fun at the Country Fair Blog Party. I've heard of geocaching but never letterboxing. I'm checking it out! How neat!